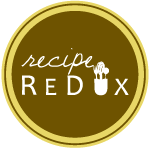 It is Recipe Redux time again(!) This month’s theme is Cocktails and Mocktails for May Celebrations. Since showers and celebrations with friends abound this time of year, we were challenged to share our healthy, colorful drink concoctions for festivities like bridal showers and graduation celebrations. Generally, due to having a slightly finicky relationship with both alcohol and drinking my calories, I’m more in favor of drinking water, lemon water, or (hot, unsweetened) tea for most occasions. It is why I share few drinks here. Occasionally however, I enjoy a nice glass of something special at social events. Cider, wine, or slightly sweet and vinegary lemon ginger kombucha are then my go-to special occasion drinks. Aside from those options, have you heard of drinking vinegars/shrubs? They are a quite old way to preserve seasonal fruits–and then drink them with or without alcohol. Shrubs have become quite popular in recent years as a flavor add-in to mixed beverages at nicer restaurants and drinking establishments, and when I first discovered them a few years ago, I went through a short phase of experimenting with vinegary blackberry, pomegranate, and orange concoctions. And then I forgot all about them. We experimented with many traditional folk methods of using herbs last term in my herbal pharmacy class and the base recipe for a fruit + herbal shrub was the showcase during one week, so I went with the old-time method of reaching for the flavors of the season. What resulted was this rhubarb + ginger shrub which has equal hints of rhubarb, ginger, and vinegar, and is very mildly sweetened up with honey. I prefer the very plain jane method of enjoying just a splash of it in a glass of ice water, but it is often added to sparkling water, and in various ways to enhance cocktails. The amount of ingredients here are part of the base recipe for fruit and herb shrubs, so if you’d like to experiment with other flavor combinations, choose any other fruits and herbs/spices to use in the same amounts. There are also several methods of macerating the fruit, which will yield slightly different flavor profiles. Here is a good video, if you’re interesting in exploring. Add the chopped rhubarb and ginger to a clean pint jar. Add vinegar and honey and stir well. Put a small square of parchment paper over the top of the jar and then cap the lid. The parchment will prevent the vinegar from breaking down the metal of the lid. Let the jar macerate (infuse) in the fridge for one week. Try to shake up the jar about once a day for a better infusion. After at least a week, strain the rhubarb and ginger from the vinegar mixture using a fine mesh strainer. Press out as much of the liquid as possible. If you have cheesecloth, putting a square of it over the strainer and then squeezing the rhubarb in your hands in the cheesecloth ball to finish straining will help get all the liquid out. Then use right away or pour the liquids back into the jar and store in the fridge for up to a couple months. Cheers to shrubs! I posted a shrub recipe as well. I love that you used rhubarb! I’ve been wanting to try a shrub – love these flavors! Hi Pipalopee, thanks for asking! The link to the video is in the recipe notes on this site, but here it is also: https://www.youtube.com/watch?v=mAT53BvSWY4. Hope you enjoy!